Gents, today is a different kind of podcast and it’s unlike everything we’ve ever done before. Last month I had the opportunity to head to the Spartan World Championships in Tahoe and was able to sit down with my friends, Sal, Adam, and Justin from MindPump Media. 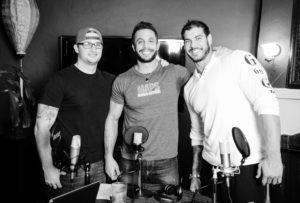 They are a fitness company but we don’t talk about anything fitness related as we sat down for an hour or so to talk about political correctness, the future of technology including planned communities and cryptocurrency, capitalism, and just about everything in between. Sit back, relax, and enjoy a conversation about everything and nothing with the guys. I’ve got three guests for you today, Sal Di Stefano, Adam Schafer, and Justin Andrews. They are the founders of MindPump Media which is a media company dedicated to giving accurate and entertaining information about the media industry, what works, what doesn’t, and how you can get control of your health. These guys have a combined experience of over 40 years in the industry and, although we don’t talk a thing about fitness today, you can tell but the depth of the conversation we do have, these guys are very intelligent and extremely well-informed. 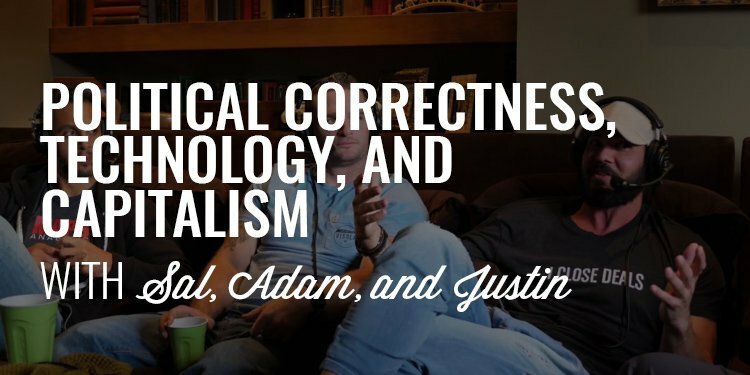 In a world that seems to regurgitate the same basic health information over and over again, Sal, Adam and Justin are extremely entertaining and bring a whole new perspective to the way we look at fitness, nutrition, and health. I know how challenging it can be to find men who are on a similar journey as you to become a better man. When I started down this path nearly 8 years ago, I felt as if I was on my own with wanting to improve my relationships, my health, my business, my bank account, an myself. This is the exact reason I started our exclusive brotherhood, The Iron Council. To give you access to other men who are on a very similar path as you and the structure to finally DO something about become the man you are meant to be rather than just stop at talking about it. If you are ready to put in the effort, to do the work, and to become the man you know you want to become, I invite you to join our exclusive brotherhood, The Iron Council. You can learn more about us and what we’re up to at www.orderofman.com/ironcouncil.